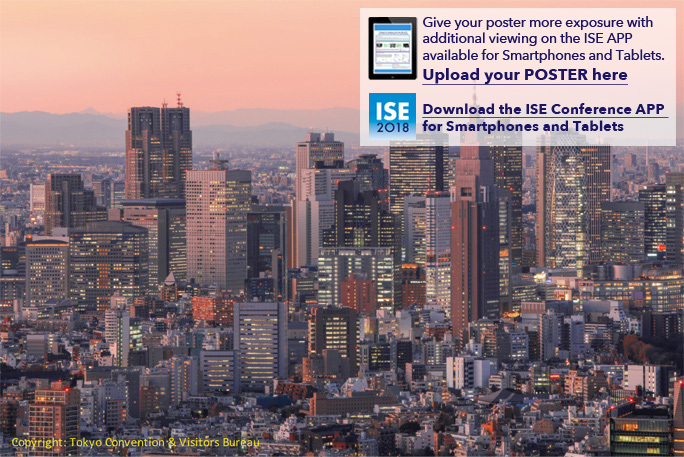 You are cordially invited to the 22nd Topical Meeting of the International Society of Electrochemistry, which will be held in Shinjuku City, Tokyo, Japan from 15 to 18 April 2018. The meeting will provide an opportunity for scientists and engineers who are interested in the material-science-based aspects of electrified solid/liquid interfaces, such as development of micro/nano fabrication processes, electronic, energy and sensing devices. Tokyo, located in the Kanto Plain by the Pacific Ocean, is the capital of Japan. With 13.6 million inhabitants, Tokyo is one of the world’s largest and busiest cities. Highly ranked for its economy, industry and politics, Tokyo is also the center of traditional and modern cultures in Japan, offering countless museums and multiple art, music and drama events. Tokyo has two international airports, Narita and Haneda, and is accessible from all over the world. Tokyo has an efficient public transportation system (train, subway and buses) which is characterized by its punctuality. From Tokyo, you can also easily travel to other cities in Japan; for example, if you are visiting Kyoto, “Shinkansen” high-speed trains will take you there within 2.5 hours. There are multiple downtown areas in Tokyo such as Ginza, Shibuya, Asakusa, and Shinjuku where the topical meeting will take place. Surrounded by skyscrapers you wil enjoy the atmosphere, cultures and cuisine, in addition to the science during the meeting.